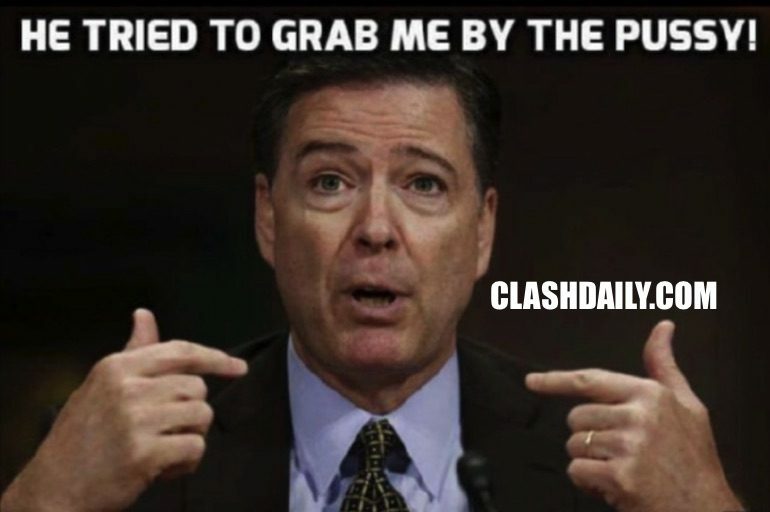 LMAO: This Is THE FUNNIEST Anti-James Comey Meme EVER! He’s not ‘Captain Courageous’ he said. Well Thank-You Captain Obvious, we said. The only thing missing in Comey’s ‘all about me’ performance was a swoon and some smelling salts. He played the injured bird routine to the letter. Why didn’t he do the right thing? He was afraid of the big, powerful President. Better men than Comey have resigned over less that what Comey was alleging. No word yet on what future favors he might be granted for helping push that Democratic goal forward. It’s not like this was the first time he could have done the right thing but didn’t. He could have resigned when Loretta Lynch (who — you may remember — was promised to remain as AG if Hillary won!) instructed Comey NOT to use the word ‘investigation’ with reference to the Clinton Investigation. I guess he was pushed around by HER too. What a poor, timid, 6’8″ shrinking violet. Well, we had a regular Elliot Ness running the FBI, didn’t we? Let’s hope the NEXT director doesn’t ALSO have a slinky where the spine is supposed to go. If they don’t, they’re going to need this. And quickly. Share if Comey’s looking more and more like a whiny little priss. BREAKING: Illegal Alien Who KILLED Kate Steinle Found NOT Guilty! Watch: Little ‘Dreamers’ Drop The F-Bomb On Trump Supporters – Aren’t They Just Darling? Hey Ladies: Would YOU Take Your Politics Poolside Like These #MAGA Girls?